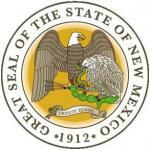 Top budget officials for the state of New Mexico announced Wednesday that they intend to rebuild state reserves that have been depleted amid a sustained downturn in the oil and natural gas sectors. Finance and Administration Secretary Duffy Rodriguez told a legislative committee that her agency wants to restore state reserves to 5 percent of the state’s annual general fund appropriations by the end of the fiscal year in June. General fund reserves currently stand at about $60 million, or just over 1 percent of the state’s nearly $6 billion annual general fund budget, Rodriguez said. “Our goal is to have it at 5 percent, for the current fiscal year,” she said. It is unclear how the state might set aside the money. State agencies still are wrestling with how to implement budget cuts approved by the governor and Legislature in October. Rodriguez said it could involve more spending cuts and sweeping money together from idle accounts. “Some of the ideas are rightsizing government, looking at other cash balances,” she said after the committee meeting. The Legislative Finance Committee that drafts the state budget says New Mexico has about $100 million more in planned expenses than revenue for the current fiscal year. Republican Gov. Susana Martinez has steadfastly opposed any tax increases. Democrats in the Legislature have attempted unsuccessfully this year to increase state revenue by suspending reductions in corporate income taxes sales, collecting taxes from out-of-state internet retailers such as Amazon or increasing taxes on gasoline. Sen. John Arthur Smith, chairman of the Legislative Finance Committee, said he also is placing a priority on adding to state reserves to stabilize the state’s credit rating, even as state courts and judges pushed this week for the reversal of spending cuts.